short girl, long island. : SugarClips Giveaway Winner. Seeing as there were 30 comments, I chose a number between 1 and 30 at random.org. 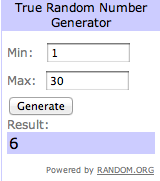 The winner is TopHat - congratulations! You have 48 hours to claim your prize, or another winner will be chosen.